Atlanta’s famed festival A3C is coming in a couple of weeks, and here’s one of the featured stages. “Remember This Moment”. 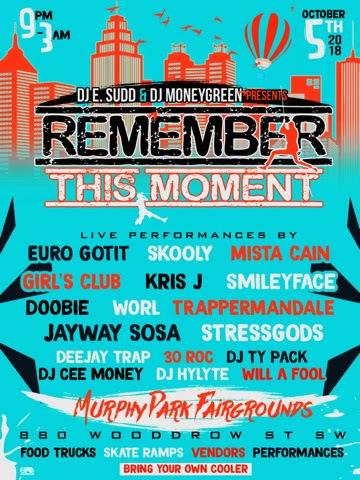 presented by Street Execs’ DJ E Sudd and DJ MoneyGreen, will be on October 5th at Murphy Park Fairgrounds, 880 Woodrow St. SW Atlanta, Georgia. Performances by Skooly, Euro Gotit, Mista Cain, and more to be expected.